Storyline: 1993. Overachieving college student Jason Moss, fascinated by serial crime, decides to write his criminology class term paper on John Wayne Gacy, who is on death row and scheduled to be executed in six months time. Jason's criminology professor, Mr. Harris, will only allow Jason to write his paper on Gacy if Jason can come up with a fresh angle, as he himself believes the topic of serial killers is already overexposed. 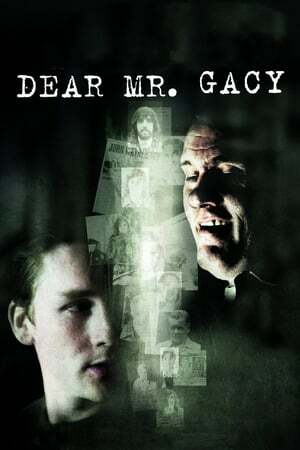 After writing Gacy a nondescript letter and receiving a questionnaire from Gacy in return, Jason believes the fresh angle would be truly to get inside Gacy's head, specifically to learn what makes him tick, by presenting himself in subsequent correspondence to Gacy as Gacy's "type", i.e. a vulnerable young man from a dysfunctional family and thus who is possibly at risk. Despite the advice that he needs to watch out for cunning Gacy, Jason is certain he can outsmart the serial criminal at his own game. Things take an unexpected turn for Jason when he starts receiving telephone calls from Gacy, who was able to find out his number. As Jason feels he has to do further field work based on things that Gacy wants him to report back on, Jason may find that he is not as well equipped emotionally to handle the situation than he first believed, potentially leading to serious consequences both for himself and those around him.